Zante is known as the Flor di Levante, the flower of the East, as Levante means the east winds of the Mediterranean sea and at the North France. The lush nature and the crystal clear waters. It is one of the Ionian Islands. Follow the roots to the idyllic beaches surrounded by the turquoise waters of the sea. Take the chance and swim next to the rare species of the Mediterranean seal Monachus Monachus that lives in those waters. You can also choose to dive in and see some of the unique caves of the islands. If you wish to travel to Zante you do not need to be aware for your stay on the island. At this place you are going to find a great number of accommodation choices. There are a lot of hotels for different styles and needs. At the online tourist agency e-globaltravel you are going to have the opportunity to find the most economic prices at the hotel rooms. Take advantage of the ability to book the hotel rooms by using the internet from your comfortable sofa without even moving from the safety of your home. The only thing you need to do is to follow some simple steps. The advanced online booking service rhat you will find on our online page, is the perfect tool. 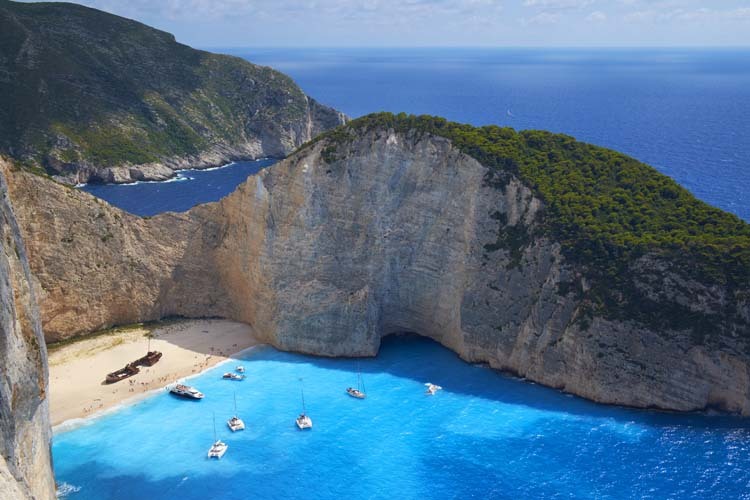 You can even book the airtickets and the ferries to and from the island of Zante. This is the perfect way for you in order to organize the vacation of your dreams at the lowest possible prices that you couldn’t believe. You can even use our online booking system in order to book the activities you are going to join in during your vacations.